Happy Halloween everyone. It's a extra special day here at the 'Luke, I am Your Father' household as not only are we celebrating Halloween, but we are also celebrating Mrs. LIAYF's birthday! ﻿I am, at this moment, about to once again check on the cake I am baking for my lovely wife......(still not done). Amazingly, I used the Kitchen Aid blender to prepare the mix. However, any notions that I may have had that I am some sort of Dad Blogging domestic God were quickly shattered early this morning. That's because, after realizing that we were out of pancake mix, I googled a recipe and decided to make the batter from scratch. And, although everything seemed fine with my creation, once I flipped the cakes over on the griddle, I got a taste of the dough. Turns out it needed two teaspoons of baking powder, not two tablespoons. Who would have knew? In my defense the recipe had it wrong. But thankfully, my wonderful wife saved the day and helped me quickly make up a new batch of batter. This time, of course, they pancakes turned out delicious. I most likely will not similarly screw up the chocolate birthday cake recipe. It came in a box. (Now it is done. Toothpick came out dry). Soon I will have to flip it over and hope that it comes out of the Bundt cake pan without falling apart. Wish me luck, it may get ugly. Happy Birthday Sweetheart. Life with you is definitely a Treat. If you are a parent blogger reading this you probably have already heard, and read, much about how 2010 has been dubbed The Year of the Daddy Blogger. And yes, for better or worse this has been a year when dad blogs and dad bloggers have been in the parenting spotlight like never before. As many of you may know, there have been some spirited discussions recently about whether we, as a collective are living up to all that we can be. I'm not here to weigh in on that topic. I'll leave that discussion for others to tackle. Rather I want to, at least briefly, change the focus of the discussion. Personally I would rather people be talking once again about what is currently going right with dad blogging. With that in mind I want to highlight a few aspects of Dad Blogging that make me proud to call myself a dad blogger. 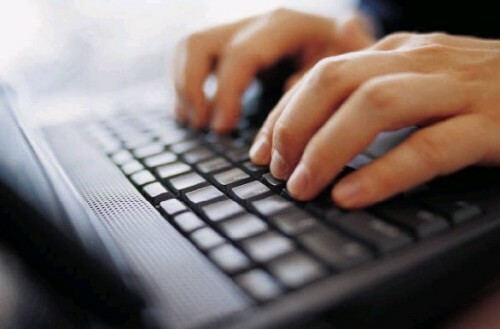 If you would, please take some time and share what you like about Dad Blogging in the comment section. It would be much appreciated. So, that said, here are 5 things that endear me to Dad Blogging. 1. Community - I have been blogging about being a father for nearly 3 years now. I have been reading dad blogs even longer. Lots of them. One theme that I have heard echoed over and over again is that often dad's find it difficult once they become fathers to interact with, and maintain close friendships with other men. There seems to be something about us, as men and fathers, which makes it hard for us to take the time to talk to other guys face to face about our experiences. This is only magnified once we have kids. I am no exception. However, amongst the Dad Blogging community I have found a group of fathers who, although I have yet to personally meet more than a couple of them, I can open up to. To be genuine with. It would have seemed a foreign notion to me 10, or even 5, years ago to count as friends a group of guys with whom I have never met. But with this community, that is exactly the sense I have. 2. Exchange of ideas - As I mentioned, my being a member of the dad blogging community has meant that I have spent a large amount of time reading the entries of other dad's who post about their parenting experiences. Amongst the thousands of posts I have read, I have been exposed to some pretty amazing ideas and approaches about how to deal with the everyday issues that arise from raising kids. Already, there have been several occasions while raising Lukas where I have gleaned and used something valuable from the experiences another father shared. 3. Mutual Support - Along with the sense of community I mentioned earlier has also come a support network. I see it everyday. A dad will write a post about a tough situation he is facing in his personal life, and instantly there are several responses via his comment section offering support and advice. Additionally, there will often be an exchange of emails, phone calls, or both seeking to provide support. The Dad blogging community is tight knit and very supportive. Especially to newcomers. If it weren't for the kind words of some veteran bloggers, I might not have continued past my first couple of months. Now that I have been around a while, I try to do the same when possible. 4. Crossing Boundaries - One great aspect of the dad blogging community which I don't think gets highlighted enough, if at all, is the fact that those who participate come from widely varying backgrounds. Whether it be differing political beliefs, racial makeup, socioeconomic disparities, or pure physical divides such as geographical location, those differences that we all have get very little play in the world of Dad Blogging. We are rarely Democrats or Republicans, black or white, rich or poor. We are just dads, working hard to raise our kids while and tell our stories. And lending support to those who would do the same. 5. Changing Perceptions - Telling our stories, one day at a time, the Dad Blogging community is making a difference with how father's are perceived in today's society. How much of a difference? I don't know, but I'm fairly certain that with each new post we are chipping away somewhat at those old perceptions, while replacing them with ones of strong, confident fathers. And, with group sites like Dad Revolution, Dads Talking, and Dad Centric among others expanding our reach, we are garnering more attention with each passing day. To me, that is a terrific thing. These are just a few of the reasons I love being a part of the Dad Blogging community. I have obviously only touched on the tip of the iceberg, but not to worry. I'm pretty sure my fellow dad bloggers will have my back, and fill in some of the blanks. How about you readers? What do you enjoy about dad blogs? It sounded like such a great option before Lukas was born. Something that I would certainly be taking full advantage of. In reality though, I have not and hope to never use it. My employer contracts with a respectable local hospital to provide the service. It is part of my benefits package. The service is just as described. If your child is sick and can't be at their normal daycare, you can take them to the hospital and leave them at the sick child daycare facility. They get checked out by a doctor, then get to use the child friendly facility while you go to work. I'm pretty sure most of my readers are parents and can easily see the problem with this concept. So can I, now. However, while we were expecting Lukas I thought that I would be taking advantage of this benefit often. It hasn't worked out that way. In his nearly 3 1/2 years, I have yet to load him up and take him to this facility. 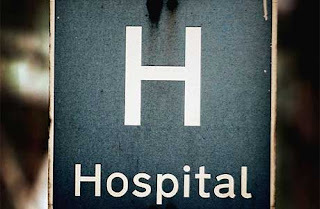 That's because, as a parent, the last place you want to take your already sick child, is to a strange place - a hospital no less - where there are other kids sick with what you imagine are a whole range of contagious illnesses. (true, this time of year that would almost be like dropping him off at preschool) Personally, I haven't been able to do it. I don't imagine that I ever will. Still, if there is an emergency at work and there was absolutely no other option, I would give some serious thought to leaving my son at such a facility. But I imagine it would be a toss up between that and just taking him to work with me. Thankfully my work is such that, even the most dire circumstances can wait for a day, or more when the duty of parenthood calls. So, that's where I found myself today. At home with a sick boy. And, although I can monitor my work from home and take care of any necessary fires that arise, I count myself lucky that I can be here with him, providing fatherly comfort. Then again if most parents also feel this way, perhaps the sick child facility wouldn't have any other sick kids there after all. How about you readers? Would you, or have you taken your sick kids to such a place? Drinking: Pumpkin Ale - Buffalo Bills Always a great choice, especially this time of year. Carving out time to pick some up on my way home tonight. Watching: Season 2 - Fringe. This is a quirky but fantastic Sci-Fi series focusing on strange events related to crossover between ours and an alternate universe. The 2nd Season focuses on a question of morality that one father had to face. I might have done the same. Great stuff. Reading: The Training Ground - by Martin Dugard. I just started reading this book, but I am already hooked. 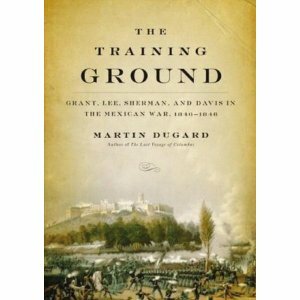 It is the true account of the interactions and training several famous Civil War military figures had during the Mexican War, fought a dozen years earlier. 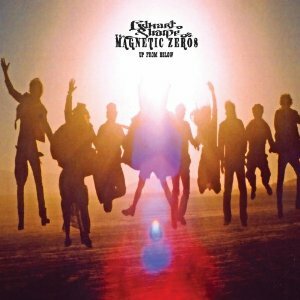 Listening to: Up From Below - Edward Sharpe and the Magnetic Zeros. Terrific Indie/Folk Rock from the LA based group. Plus, if there is a catchier tune out there right now than Home I definitely want to hear it. Visiting: Men's Health Online. I was a long time subscriber before becoming a father. That's when many expenses deemed unnecessary were eliminated. But now, after clicking through on a number of their recent Tweets, I have started to once again read by visiting the site directly. There is just so much valuable information for men. How about you readers? What are you enjoying this month? "It's okay Buddy" Mrs. LIAYF said when a piece of his dinner slipped out of his hands and landed on the floor, "That's just Gravity." "Gravity. That is what makes things fall to the ground when they slip out of your hands." He gave another puzzled look, prompting his mother to raise a napkin above the table and drop it to the surface. "See how the napkin drops? 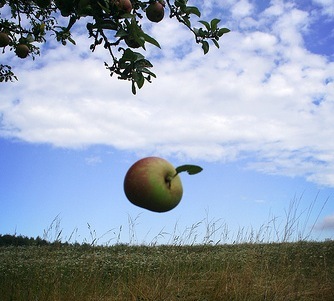 Gravity is what pulls it down. Gravity is also what keeps us from floating away while we walk around. The Moon has less gravity we do on Earth, that is why things on the Moon float around so easily." At that Lukas turned over his now empty milk glass. It was a Halloween cup with floating glitter encased in its sides, much like a snow globe. The glitter responded by gently settling to the bottom. He then proceeded to turn the cup from one end to the other studying its reaction. "Is this Gravity?" he asked as he turned his gaze back to the two of us who were in turn watching his science experiment. "Yes, it sure is son." I replied. "And do you know why Gravity is making the glitter fall to the bottom when you turn it over? "Because it's pulling it down?" It was less a question than a statement. "Right!" Mrs. LIAYF and I responded in unison. It was another proud moment for the both of us, and another indication that our 3 year old is daily grasping more of the intricacies of the world around him. He is growing up before our eyes. However, that is not all I will take away from this moment. How it came about is yet another reason why I love my wife so much. I spend a large portion of my time interacting with Lukas, showering love and laughter his way and interspersing tidbits of knowledge where I can. But, while Mrs. LIAYF does all of these things as well, she also counterbalances my sometimes over-the-top silliness by constantly identifying and making use of teachable moments in everyday situations. Yes, I am a loving and involved father. The world certainly needs more of those. However, even though this is a dad blog, I would be remiss if I didn't occasionally acknowledge the amazing daily contributions my wife makes to the raising of our son. We are a team. But she's the one who keeps us all grounded. ﻿Happy Monday readers. I have a question for you. Have you ever made a quick run to your local store to buy a couple of headstones, only to have your 3-year-old immediately latch onto what must be the most annoying toy in the whole store, becoming completely and utterly transfixed with it? And, since it's Sunday afternoon and you are tired from working around the house all day culminating in putting up Halloween decorations, you're sure that it is going to require much more energy than you can currently muster to *convince* your son that he doesn't really need this particular toy, it's currently half price making its cost less than the price of a Starbucks signature cup of coffee, and he is also asking you very nicely for it, you decide to play the part of the generous and giving parent by saying, YES, he can have it? But then, by the time you get home you know that decision was a mistake because the sound of this toy is already annoying you to no end. Plus, this feeling is only exaserbated by your son immediately showing the toy off to your wife who, an expert at multi-tasking, is at the same time complimenting him on how cool his new toy is, while at the same time giving you the what were you thinking? glance and the you should have known better furl of her brow. And you, having no real defense to fall back on, just shrug your shoulders and exclaim "Sorry Honey, I'm weak". But then you temporarily redeem yourself by hiding said toy while your son is looking away, then masterfully completing the distraction by offering to let him help you put up the Halloween lights to confuse him into forgetting about the toy. Is this familiar at all? Anyone? Well if so, then you probably also know that the next morning (a Monday) when he once again finds his toy (which you have failed to properly hide or exuberantly stomp into a non-workable state of existence while he slept) you will ultimately be forced to listen to it on a constant, ear throb inducing loop until you deliver your son, finally, to his preschool destination. But the worse part is that even later, well into the afternoon on Monday, you will still not be able to get these sounds out of your head. I love movies. This, of course, is not an earth shattering statement. I mean, it would be nearly impossible to find the guy who doesn't love movies, right? I'm sure he's out there, somewhere. Just like Bigfoot, UFO's, Chupacabra, and honest politicians. Anyway, being a Dad Blog I thought it would be a fun idea, sticking with my theme, to present a list of my 10 favorite Father-Son movie moments. 10. The Lion King: Mufasa speaks with Simba. Fatherly advice from The King of the Jungle. 9. A Christmas Story: Classic scene where Ralphie's father finally presents him with a Red Ryder BB Gun. 8. Frequency: I couldn't find a direct link to it, but I really enjoyed the scene where father and son get to speak through time. 7. Mr. Mom: Michael Keaton gives his son a man to man talk. From the 1983 classic. 6. National Lampoon's Vacation: Although not the model of great fathering, Clark Griswold is nonetheless a hilarious father character as witnessed in this classic scene where Rusty shares his first beer with his dad. 5. The Pursuit of Happyness: I haven't actually watched this whole film, but I've seen this clip a few times, and I love it's message. 4. Big Fish: Terrific final scene where the son delivers his father to the next chapter of his life. 3. The Empires Strikes Back: How could a blog titled 'Luke, I am Your Father' not include this scene? One of the most iconic ever filmed. 2. Field of Dreams: I hope that when I am long gone, Lukas will build a ball field which would allow me to come play catch with him. I'll even settle for a backyard, if that is all he can manage. 1. Life is Beautiful: This is a beautiful but heart wrenching movie, and watching this scene again - now that I am a father - brings a whole new range of emotions I didn't have when I originally viewed it. So, tell me readers, what are your favorite father and child scenes from the movies? ﻿We took Lukas to a local ice cream parlor this past weekend. It was a pretty cool establishment. In addition to home made ice cream and piped in rock music, they also had local brews - on tap (Admittedly, although an odd combination I did find this sort of...compelling). Plus, they also has a nice arcade section with a bunch of old school games, including pinball machines. Now, as lame as this may confirm that I am, I will own up and admit it. I do not own an electronic game system. That's right. I have no Xbox 360. No Playstation 3. Not even a Wii. For whatever reason, ever since I entered adulthood, I have not played video games. Be it working on the house, or paying bills, reading, or getting out into the neighborhood with my family, I have prioritized gaming near the bottom of my 'free time' totem pole. That wasn't always the case however. When we were nearing our teens, I'm sure after much begging and pleading, my folks presented my brother and I with an Atari 2600 game system. Excited, we played Space Invaders until our fingers bled. It was the Summer of 69' er....79'. Whatever the year, that naturally led to my obsession, during high school, with a game that I found in a store nearby. I would often play Galaga nearly my whole lunch hour during either my Sophomore or Junior year. In fact, I played it so much that I became - what I am now sure was - the most revered player in all the land. Okay, so my 'land' encompassed a town of only around 700 residents. That in no way diminishes, in my mind, the skill that I would daily put on display. Oviously that was a looooong time ago. I've heard rumors that gaming has made a few advances since then. I probably check that out sometime. And since we haven't had even the most rudimentary game system, Lukas hasn't been exposed to electronic gaming. That all changed a couple of months ago. That's when our son discovered that one of the settings on his toddler digital camera was loaded with a couple of games. He quickly picked up a matching game and proceeded to play it non stop until he had it figured out. A few weeks later we came across a Ms. Pacman game during a Ferry Ride. Lukas 'played' it (without quarters) for several minutes and was very animated. On another more recent trip to the Seattle Waterfront, we found some age appropriate games for him to play which paid out tickets that could then be traded for prizes. That brings us to the trip to the ice cream store Saturday. After finishing our cones, we ventured over to the games. Lukas and I played a couple of games of pinball on the Count Down space themed machine before moving down the row to see before us, none other than a Galaga machine. We plunked in a quarter and played together. Lukas nearly screamed with excitement as we destroyed alien ships one after another during the first 2 levels. (Mrs. LIAYF tried to tell him we were "squirting" the ships, but I'm not sure he bought it). Our son was rapt. After that he stood aside and watched as his old man use that very same quarter to complete the next 8 levels. I'm not sure where we will go from here. Christmas is coming after all. Tell me readers, how much gaming do you, or did you let your young children participate in? I was checking in online last night when I came across a Tweet by Men's Health magazine. It was a link to an article they posted in their series The Best List. This particular list was The Top 10 Dunks of All Time. To be honest, I had actually clicked on the link thinking it referenced the top 10 drunks of all time. Judge me but hey, I was curious. Anyway, I was even more pleasantly surprised when presented with the video feeds for the Dunks in question, many of which I remember watching on television, as they took place. They certainly brought back some great memories. However, as I watched one acrobatic dunk after another I was found myself getting more and more disappointed in the list. How could the guys at Men's Health create a list of best ever dunks and not include one from arguably the best ever at the art. I am referring to Shawn Kemp. Kemp was a member of my now defunct hometown Sonics from 1989-1997 before being dealt to the Cleavland Cavaliers. During his run with the Sonics, he was a one man highlight reel. In fact he was known for his athleticism and acrobatic dunks, many of which could easily have been included on the Men's Health list. But don't just take my word for it. Take a look at this dunk he does over the Warriors Alton Listor and then tell me it shouldn't at least knock off #7 on the Men's Health list. Great stuff, isn't it? Watching these old clips I find myself feeling a bit sad all over again about the fate of my hometown NBA franchise, and how I won't ever be able to take Lukas across town to see a game. Granted, we do have a championship basketball team in ﻿town, and some pretty decent college teams too. But for me, there was a time when the Sonics were the best show in town. And Shawn Kemp was The Reign Man. "Yo Gabba Gabba will be on tour in Tacoma in November and we have a passes for you if you are interested. Just let us know and we will set them aside for you"
Now, let it be noted that I, SeattleDad, do not or have not EVER lived under a rock. I do, of course, live on a rock. And apparently this rock is fully equipped with a whole infrastructure devoted solely to transmitting moving pictures instantaneously through a system of cables into peoples homes manifesting themselves onto rectangualr screens. It's all very Jetsons. Yeah, it's called television. And no, we don't have it here. Therefore it was my belief that, though I had heard of them before, I had never before seen anything by Yo Gabba Gabba. But hey, we are wired in this house. So, through the power of the Interwebs I was able to do a quick query to see what this television based muscial group was all about, before accepting the generous offer. Okay, that oozed cool. NOW I'm getting excited. And, we will be attending. I just hope Lukas ends up liking them too. Mrs. LIAYF and I were a bit creeped out by something that transpired the other night. We were sleeping soundly at around 4:00 in the morning on Saturday when Lukas woke up crying loudly. After waiting a minute to make sure he wasn't just sobbing in his sleep, I opened the door to find him standing in the dark whimpering. "I don't feel well" were the first words out of his mouth. This was followed shortly by "I need to go to the hospital daddy." "What? Where does it hurt?" I asked him as I picked him up and held him in my arms. He pointed to his belly. Shortly thereafter, upon hearing what had transpired Mrs. LIAYF entered the room. "I need to go to the Doctor Mommy. It hurts." he firmly stated as, feeling him squirming to be let down, I obliged. He then walked past her, opened the gate at the top of our stairs and started down them. His mother and I exchanged worried glances, before following him down the steps. He made it to the foyer and was picking out a coat when she scooped him up and took him to the kitchen. Once in there, we sat him down further assessed the situation. We knew from holding him that he wasn't running a fever. We pressed on the area where he had pointed, but there was no painful reaction. "You didn't swallow anything Like Curious George, did you?" I asked. "No." "Are you hungry?" Mrs. LIAYF queried. He had eaten a decent meal. "No. I just don't feel well." "I need to go to the doctor" he continued. "Would you like some cereal?" his mother then asked. To that he nodded yes so we fed him what was left of a box of Wheat Chex, and then a large bowl of vanilla yogurt both of which he ate up heartily. "You were hungry Buddy" I mentioned. He had calmed by this time and seemed otherwise fine. "Have you been pretending to be doctors at school?" Mrs. LIAYF then threw out there. We hadn't been at all at home. "Hmmm....sometimes" was his response. Though it didn't sound like it had been the previous day. With that we carried him back upstairs and brought him to bed to sleep with us, for the first time since he was an infant. We wanted to monitor him. At that he went right to sleep and we all woke up a couple hours later. He seemed fine so I made pancakes and eggs, and together we watched several episodes of The Muppet Show. Before eating though, he once again mentioned that he didn't feel well. However, after the devouring the pancakes with peanut butter he seemed to feel much better. Thankfully, he hasn't mentioned needing to go to the doctor since. Obviously, we are keeping a close eye on his behavior but I think the diagnosis may be that he was just hungry and had a bit of an upset stomach. Still, that struck both of us as a pretty bizarre sequence of events. Certainly nothing like we have experienced before. How about you, readers? Have any of you ever dealt with anything similar with your young kids? We have undergone some huge changes in our household over the past few weeks. Me? I am still in my adjustment period. As I may have mentioned before, Mrs. LIAYF is working outside the home once again. In another city. Thankfully, she loves the job and the commute promises to get better in time, but for now she is out of the house for nearly 12 hours per day during the work week. That leaves the responsibility on me to get Lukas up and to his preschool, then back home in the evening after work. Mornings are a piece of cake, with Lukas waking up happy and ready to tackle the world. We could use some better time management and often more sleep, but in all it goes pretty smooth. It's after work that the real fun begins. I'm a quiet guy who works in a relatively stressful job. I am, by definition, solving problems all day long. Often by the end of the day I am mentally drained, and not ready to deal with what inevitably lies ahead of me. Part of what contributes to the chaotic atmosphere that often ensues can be attributed to tired bodies, and attempting to fit a lot into a small window of time. Over the past three years, I haven't worried to much about lack of sleep. When it happened, we could handle that with ease. But I'm finding that those hours between when I pick him up from preschool (where napping is difficult at best) and when we get him to bed - I have dubbed them The Chaotic Hours - to be a whole new challenge for me. We have handled it so far. But there have been some rough patches. At times I feel as if I am the caricature of the harried parent. 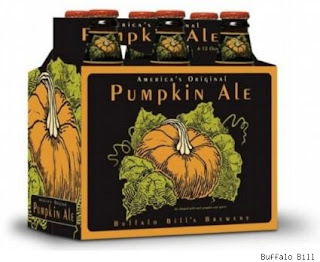 This is exacerbated on the nights we have to stop at the grocery store, before hurrying home to get dinner prepped and on the stove before Mrs. LIAYF finally arrives from her long commute. I am often stumbling up the stairs, dropping things which are otherwise stuffed - to the brim - under my arms, only to find my keys in an inaccessible pocket. When I do get inside and convince my son to follow me, I am usually greeted by bellowing cats who want to be fed (That is, when they aren't hiding because they've puked right in front of the door). After which I have to immediately start prepping for dinner while washing the dishes or unloading the dishwasher, so I have the proper tools to work with. Add in ringing phones, an insistent boy who always want me to come play with him *NOW*, and an urgent need to pee from all the running water during dish washing, and by the time 7:00 rolls around I sure could use a cold beer to calm my nerves. Life happens during that time. Real life. It's like 4th and 1 from the 1/2 yard line each and every night. It can be intense. And I am thrilled when my lovely wife walks through that door. Yes, I understand that many of you must deal with this times two, or three, or even more. I salute you, and am certainly not attempting to compare my responsibilities as a parent to yours. I am just saying that there are times when we are asked to step up. To contribute in new ways you are unfamiliar with. This is where I've found myself these past few weeks. And it has been an adjustment period. But life is about making adjustments, right? And then hoping there is a moment of zen before you have to start the process over again. Plus, no matter how harried it gets, I am always glad I get to spend that time with Lukas. Mrs. LIAYF doesn't get that opportunity. What about you readers? How do you keep sane during your Chaotic Hours? This post brought to you in conjunction with Fatherhood Friday over at Dad Blogs. Click on over and check out all the great parenting related post.